IDW brings the fantastical characters of Dungeons and Dragons to life in this action-packed issue. 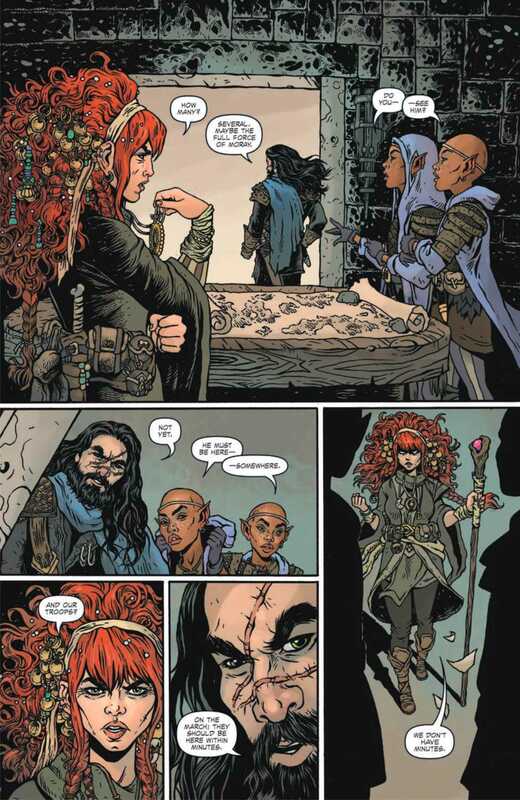 IDW is bringing the Forgotten Realms to the world of comics in DUNGEONS AND DRAGONS: A DARKENED WISH #1. These locales, made famous through the role-playing game, are now the setting of inspiring new characters. This story gives readers a brilliant illustration of the world of Dungeons and Dragons, satisfying both fans and newcomers alike. The story takes the reader into the middle of a battle set in the city of Alaron of the Moonshae Isles. These islands are also the homeland of the wizard Helene, the story’s main protagonist. Helene and her band of warriors are seen viewing this fight from above while they wait for someone to arrive and assist their outnumbered army. The reader doesn’t know who this person could be but has the sense they could change the tide of the battle. B. Dave Walters spends the rest of the story unpacking the events that lead Helene to this predicament. The reader views a brief history of her life as she undergoes a transformation of sorts. We see Helene the disgruntled teen search for adventure as she attempts to become a full-fledged magician. And just like the Dungeons and Dragons game, she finds it’s no fun to go it alone. Walters then introduces unique characters that bring life to Helene’s party. They each come from a different class and race, showing the beauty of diversity in the team’s relationships. It’s was great to see disparate personalities coming together for one common goal, which the reader learns is to join an outfit called the White Sails Company. Readers will enjoy the ups and downs of the adventurers as they embark on this quest. And they can expect all of the magic of Dungeons and Dragons to accompany them along the way. 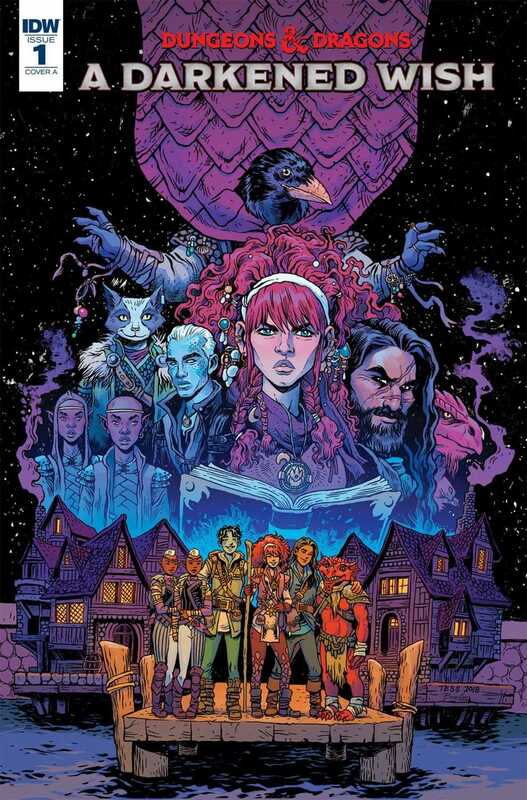 DUNGEONS AND DRAGONS: A DARKENED WISH #1’s covers get its readers into the true spirit of the franchise. Tess Fowler’s penciling and Tamra Bonvillain’s colors bring the cover to life with fantastic looking creatures full of vibrant colors and a hint of mysterious shadows. 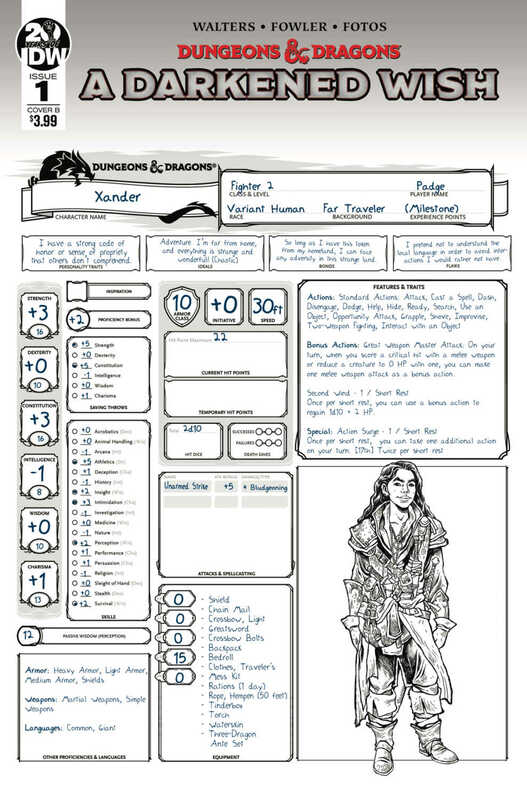 What’s more, Fowler’s secondary cover mimics a Dungeons and Dragons character sheet with an introductory look at the character of Xander, helping readers get into the role-playing mindset of the actual game. Ibrahem Swaid’s retailer incentive cover takes a different approach. Instead of highlighting the cast of characters, this version depicts Helene and all her sorcerer-glory as she fires spells with ease. 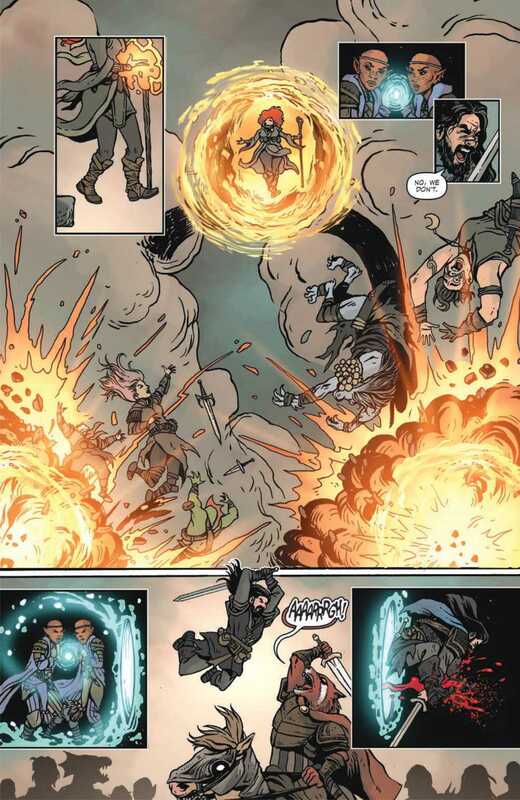 The art into the issue has everything a fantasy reader could ask for. Fowler’s penciling showcases the imagination of any experienced Dungeons and Dragons player, paying attention to small details such as the items each character carries. This is coupled with Jay Fotos’ beautiful colors that bring the characters to life. It’s as if the reader gains a front row seat to Helene’s fireballs and Xander’s sword fighting. In addition, Tom B. Long’s does a great job of positioning each panel’s letters so as to inform readers and avoid any confusion. 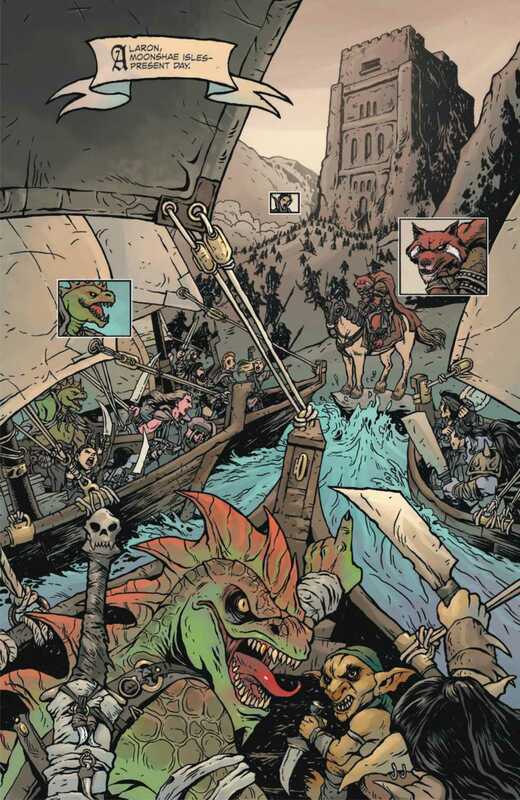 Dungeons and Dragons is a game focused on bringing people together, and DUNGEONS AND DRAGONS: A DARKENED WISH #1 uses this theme throughout the story. It’s exciting to see the diverse group of characters work together toward their common goal. Did you think this comic was an accurate representation of Dungeons and Dragons? Let us know in the comments below!